Over time I’ve enviously watched my LinkedIn connections rise toward the top of LinkedIn in their respective areas of expertise on LinkedIn. 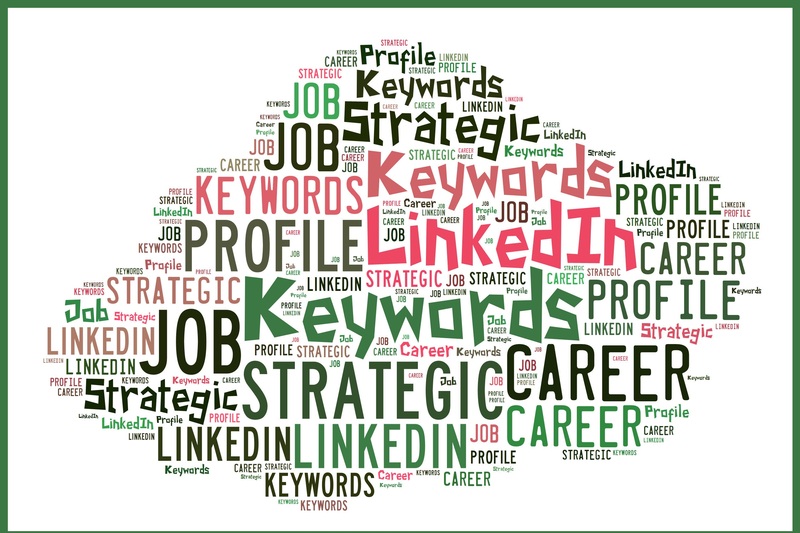 When I’ve entered in Search words like LinkedIn, LinkedIn Strategist, Career Strategist, hoping to find myself, I’m no higher than the second page. And every so often I check out their profiles to see how they’re using these keywords to get to the top of the list. I wonder if they’re gaming the system. You know, loading their profiles with the aforementioned words. I’m happy to say I haven’t found one instance of this unethical practice; all my connections have integrity. But I couldn’t help wonder where I would end up on the list of LinkedIn Strategist (currently I’m 13th on the list*) if I were to dump keywords onto my profile. I’ve seen it done…not by my connections, mind you. I came across one web designer who was so intent on being numero uno on LinkedIn’s ranking that he repeated the words “web design” over and over…like 400 bloody times. It’s not only a matter of lost pride being on the second page of my fellow LinkedIn Strategists; I also wonder if I’ll go missed by someone who is looking for a person who can help him/her with their LinkedIn strategy and profile, something I’ve been doing for quite awhile now. I reached out to one of my recruiter connections to see how many LinkedIn pages she goes through before giving up on her search for talent. She said she will read through three or four pages to find the right people to contact. And according to my recruiter friend, the second page–near the top of the second page–is nothing to sneeze at. Nonetheless, I so desperately want to be on at least the first page. To see what it feels like to be on the first page, I created a company called LinkedIn Strategist, a title called LinkedIn Strategist, and I copied and pasted “LinkedIn Strategist” into the description 900 times. Wouldn’t you know, I shot immediately to the top of the LinkedIn Strategist list, above many of the deserving LinkedIn Strategists. And for a moment I felt pretty damn good. But only for a moment. * After writing this post–acting on the advice of a friend–I added a job I’ve been doing for awhile. I call it LinkedIn Strategy and give myself the title LinkedIn Strategist. I’ve also written a description of what services I offer–all legit. Well darn tooting if I’m now ranked on the first page, near the top as a LinkedIn Strategists. This entry was posted in Career Search, LinkedIn and tagged Keyword Dump, keywords, LinkedIn, LinkedIn Strategist on February 23, 2014 by Things Career Related. Bob- Is there a way to contact you privately? Thank you! If I posted my e-mail address, it wouldn’t be private, would it? 🙂 If you want to connect with me on LinkedIn, you can have access to my e-mail. Please write a personalized note, though. It would be my pleasure. Good stuff, Bob. I am always looking for ways to stand out and be different. I’d love to connect discuss your work at the Urban Career Center. Love learning from excellent people! Hi Amber. Send me an invite with a personalized note, and we can connect. I own a business. At Linked In, when I type in the kind of industry I’m in…then select ‘people’ on the left side, my company and I show up on the first page, 5 from the top. Is this what you are talking about? There are 1.4 million people and I’m #5 ?? How could that be, I’m not too active w/Linkedin? Yes, if you typed your industry: “Professional Training and Coaching,” for instance, and turned up on the first page, this means you have more instances of these words than others. Check out how the person who is first got to the top. and videos, this website could definitely be one oof the best in its field.